Skill cards help you identify what each player can do in PES 2015. Players with certain skill cards are able to pull off dribbling tricks, send accurate passes, and unleash powerful shots on goal. 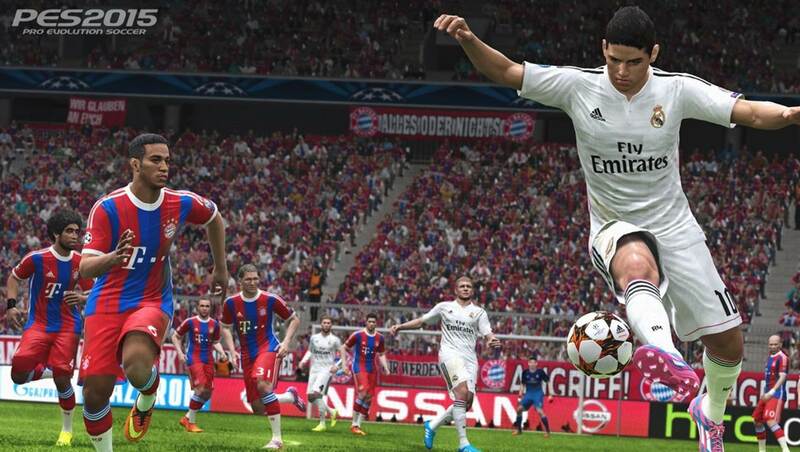 This post details all the skill cards available in PES 2015. Skill cards are divided into 2 categories – COM skill cards, and normal skill cards. COM skill cards gives you an indication of how the player will play when he is controlled by the AI, either as your opponent in 11 v 11 matches, or as your teammate in Become A Legend. Normal skill cards tell you what the player is capable of when you control them directly. For dribbling skill cards, you will have to input the directional moves to pull off the dribbling skill. For other skill cards such as passing and shooting, they are ‘activated’ automatically when you pass and shoot the ball. And here are all the skill cards. 07 Long Range Drive – Enables players to hit curling shots with great accuracy from a distance. 08 Knuckle Shot – Enables players to hit knuckle ball shots with greater ease. 09 Acrobatic Finish – Enables players to find a finish even from awkward positions or when off balance. 10 First-Time Shot – Improves technique and precision when taking first-time shots. 11 One-Touch Pass – Improves technique and precision when playing one-touch passes. 12 Weighted Pass – Enables players to apply back-spin when playing lofted passes and through balls improving accuracy. 13 Pinpoint Crossing – Enables players to curl in crosses with great accuracy. 14 Outside Curler – Enables players to shoot and pass using the outside of the boot even at long distances. 15 Low Punt Trajectory – Enables players to take long accurate punt kicks with a low trajectory. 16 Long Throw – Improve the range of long throws. 17 GK Long Throws – Improves the range on throws by the goalkeeper. 18 Man Marking – Enables a player to stick to and persistently chase down an opponent. 19 Track Back – An offensive player who actively pressurises the opposition player who is on the ball and tries to win it back. 20 Captaincy – The strength of character to get more out of the team, pulling players by the scruff of their necks. 21 Super-Sub – Improves player’s abilities when introduced late in the game. 22 Fighting Spirit (new in PES 2015) – An offensive player who actively pressurises the opposition player who is on the ball and tries to win it back. Try your best to get players who have skill cards that are relevant to their positions. E.g Wingers should ideally have dribbling skill cards (01 to 06). Attacking midfielders with passing skill cards (11 to 14) will do well. Strikers should possess shooting skill cards (07 to 10). Man marking is good for defensive midfielders and defender. If your team consist of all these players and your captain has the Captaincy skill card, you have a great team in the making.